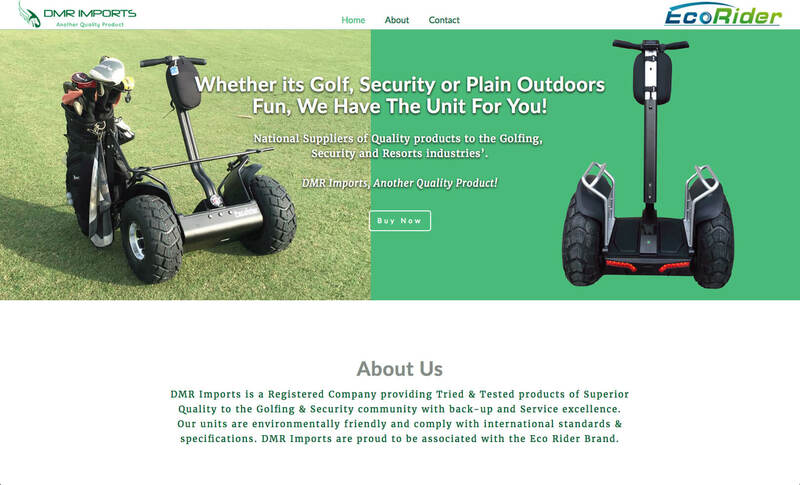 Webpage build and design for a national supplier of quality products to the Golfing, Security and Resorts industries. A new agency in Port Elizabeth and importer of luxury products in the golfing, security and resort industry in South Africa. DMR Imports needed to stand out in a crowded, highly competitive marketplace, DMR Imports contracted Just Jakes Design for their domain registration, email setup, hosting , and to develop a starter website packed with punch to help attract qualified leads in their sector, as well as assistance in setting up their digital marketing strategies. Their website is a basic 1 page scroller providing just the right amount of information for their needs and includes video and images to capture attention from prospects.